A seasoned chorus of voices bring awe and wonder to Clark Ashton Smith’s unique take on science fiction, fantasy, and horror. This second of five volumes of edited and curated "preferred texts" of Smith’s work serves as justification for a re-appreciation of this master of speculative fiction, the third member of the Weird Tales unholy horror trinity, the other two being H.P. Lovecraft and Robert E. Howard. Smith’s appreciation for human sexuality, fondness for ribald humor, and strong, female characters are all on display in these 20 mind-engaging, goose bump-inspiring short works that highlight the storytelling ability and prose of an (also) underappreciated poet. 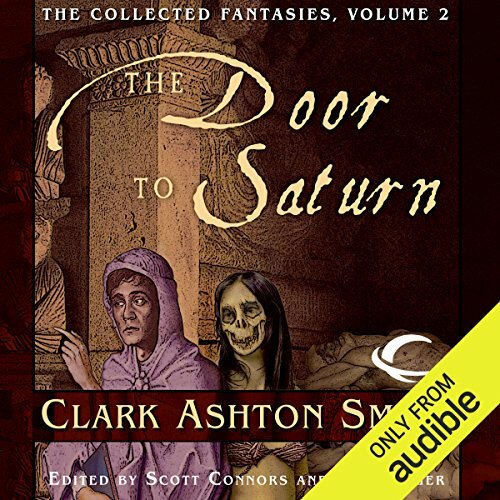 ©2007 The Estate of Clark Ashton Smith (P)2013 Audible, Inc.
Love this book. A great amalgamation of stories from different Smithian cycles. Stuff from the Hyperborean and Averoigne cycles stand out the most, and you get a feeling that you're approaching the quintessential Clark Ashton Smith stories when put side by side with the first volume of this series. A must have for anyone who likes weird fiction. Great voice acting performances again, and when the men reading the stories have to do female voices, they manage to avoid sounding like the terrible and grating female voices like Anthony Daniels used to do when he narrated all the Star Wars books. I really love the mental visionary allusion the stories generate. I feel many times as if I am omnivisually experiencing the dialogs myself.